6 Ways to Celebrate Mother’s Day in and out of the House! | Hans' Kitchens & Baths, Inc.
6 Ways to Celebrate Mother’s Day in and out of the House! Usually mom is responsible for cooking for everyone else, this year, surprise her by making a fun and fancy meal just for her and decorating your serving space whether it's your dining room table, the kitchen counter, or a backyard picnic! 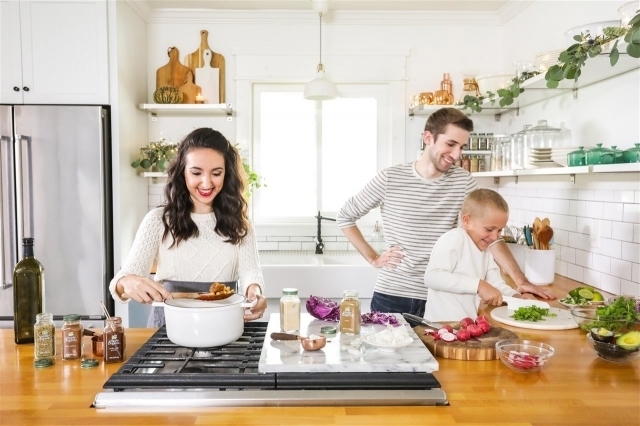 Or, if you think mom would miss out on spending time in the kitchen, cook something together! Maybe you can try a new recipe or ask her to teach you one of her favorites. For a fun fill activity, look to try something new together. If mom is more of a foodie, check out local cooking classes, wine tasting classes, or even a class on how to brew beer! If she's more into crafts try a paint class or a pottery class. If this is something that mom excels at, give a chance to shine. Or give her an opportunity to get outside of her comfort zone and try something new! If mom is constantly hard at work and you want to show her how much you appreciate her and give her a chance to relax and unwind, gift her with a spa day! This can be something that you do together or a gift card that she can redeem whenever she chooses - a nice treat for her to look forward to when she could really use some downtime. Make mom feel pampered with a day where everything is taken care of and there's nothing for her to worry about. We are finally started to get some really beautiful weather out so take advantage of it by doing something with mom outside. Visit a local park, go for a hike, go for a stroll through town. If she's into gardening, use the opportunity to plant some flowers together. Anywhere where mom can enjoy the bright sun and the fresh air, the important thing is that you're together. Eating out is always a nice way to celebrate with family. You could be visiting the local staple you've eaten at a hundred times or trying out the fancy new restaurant that mom's been wanting to visit. Pick whatever type of cuisine is mom's favorite. And if it's appropriate, get dressed up! It's always nice to show mom that you've made an effort. At the end of the day, no matter if you send flowers or gifts or go out for a nice meal, what really matters to mom most of all is spending time with you! So, give mom her pick: anywhere she wants to go, whatever she wants to do. Making memories together is the best gift that you can give!